As we work with independent food & drink producers, there dispatch and delivery times all vary. Once your order has been shipped by your producer, you'll receive an email letting you know that it's winging it's way to you. 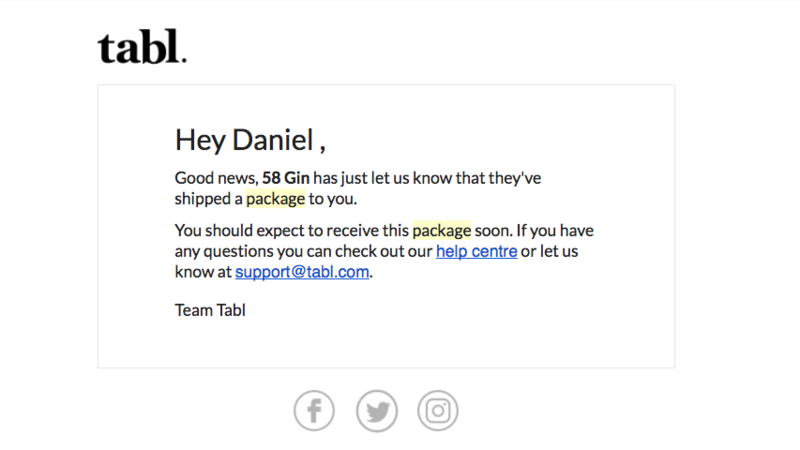 Make sure to add support@tabl.com to your address to ensure you get your order updates. If you have any questions, or if your order seems to be taking an age, simply click on the chat icon below or let us know at support@tabl.com.